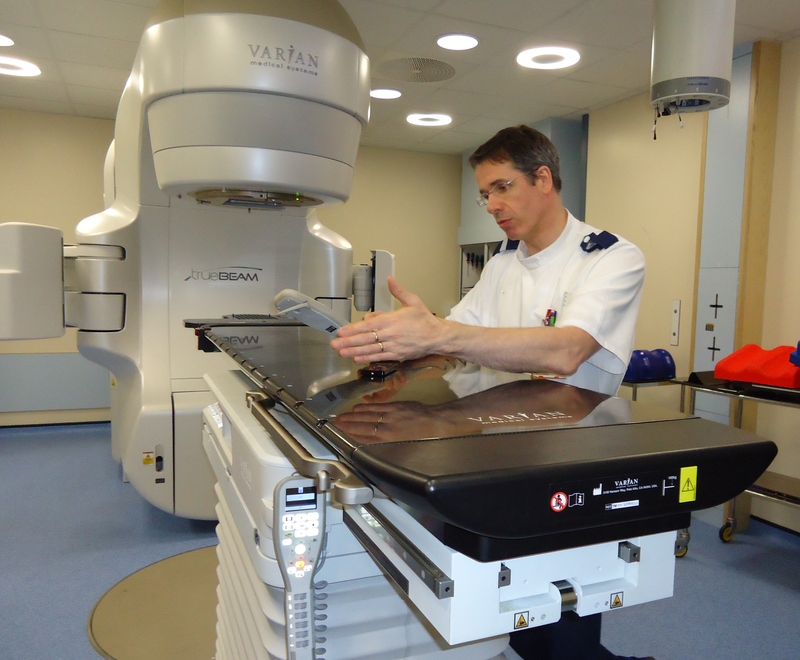 As a support group we had a tour of the new Truebeam radiotherapy machine and had a demonstration of how it is used to treat Head & Neck cancer. added to the bed to get the patient in the correct position. 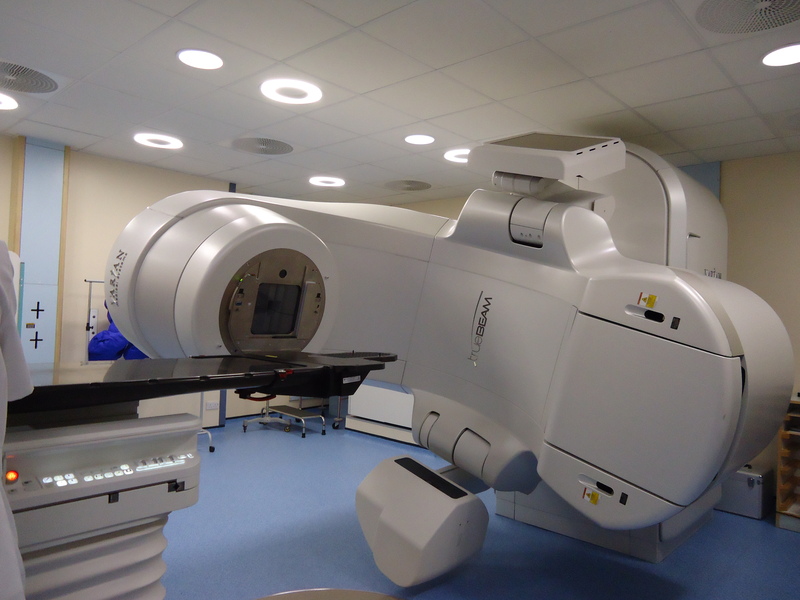 We were shown how different beams of light are used to line the patient up exactly in the same place each time with the site to be treated. These are all computerised andcan be changed if needed. 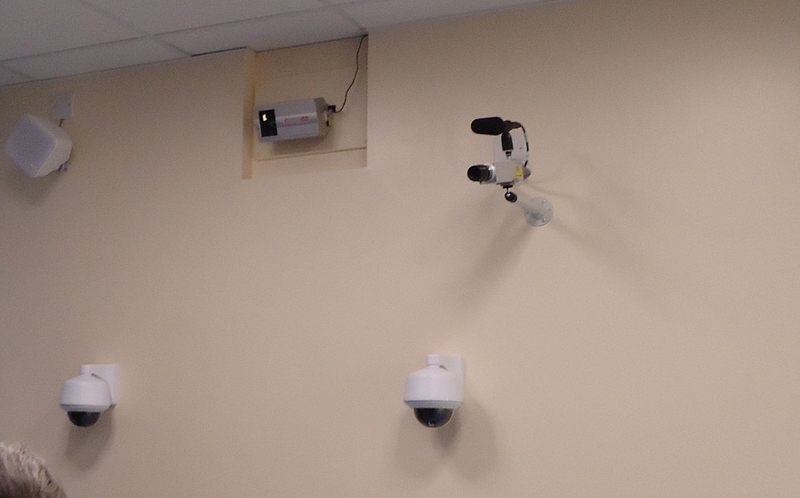 The patient is monitored while undergoing treatment by cameras and the patient can speak or be spoken to over the loudspeaker. 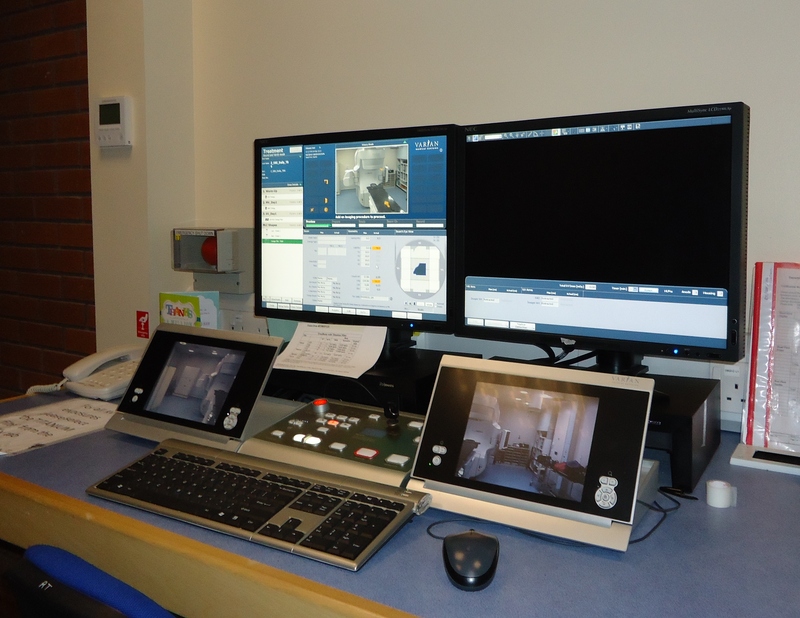 Everything is monitored from inside the control room. 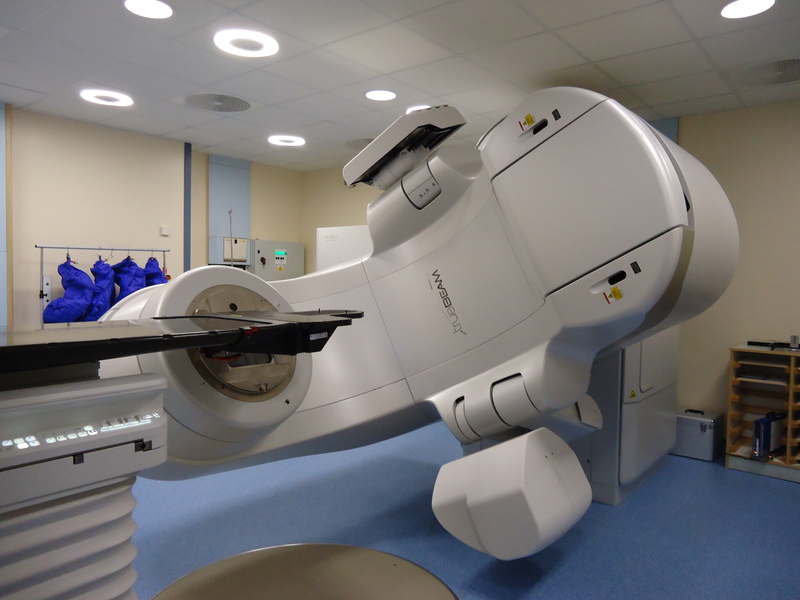 This is truly an incredible machine and we were all amazed watching it move around the bed so that it could deliver theradiation needed at exactly the right time and place. 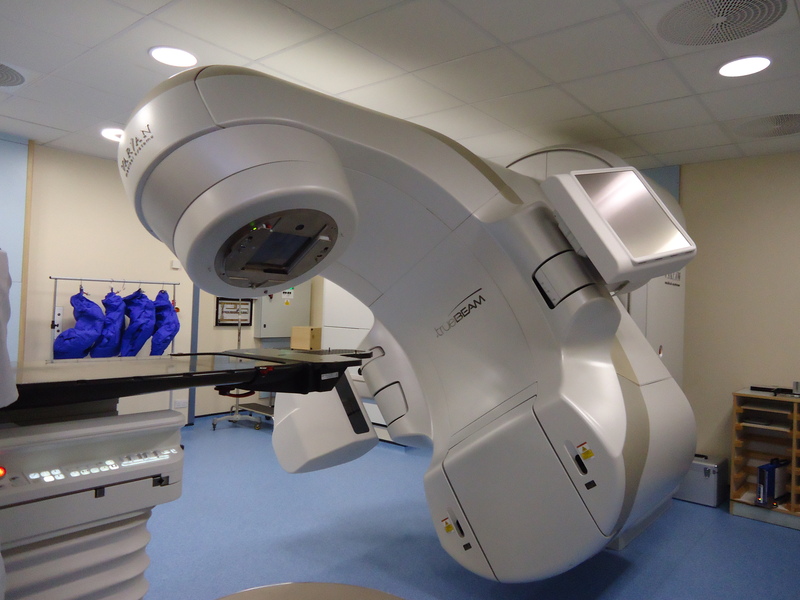 This machine is so accurate and quick to move that it has cut down the time that each patient has to spend having treatment. 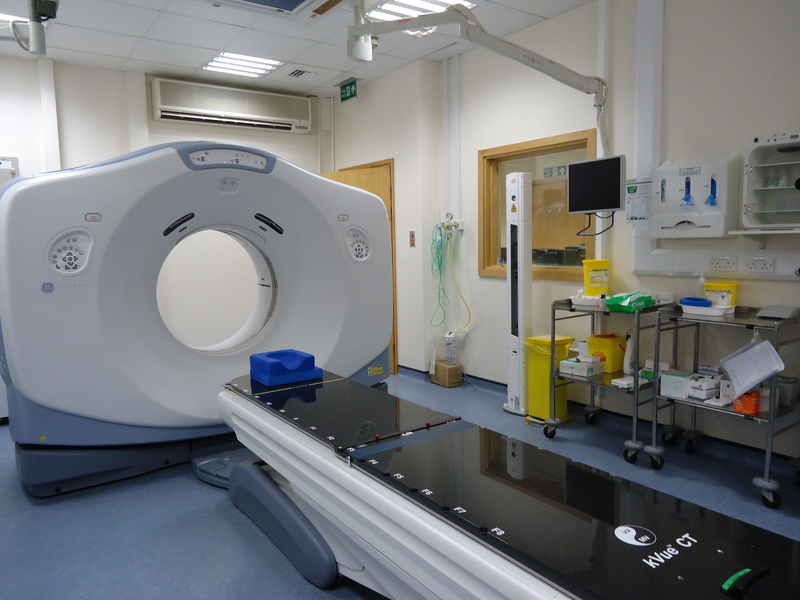 The department now has it's own CT scanner which is used at various stages of diagnosis and treatment. 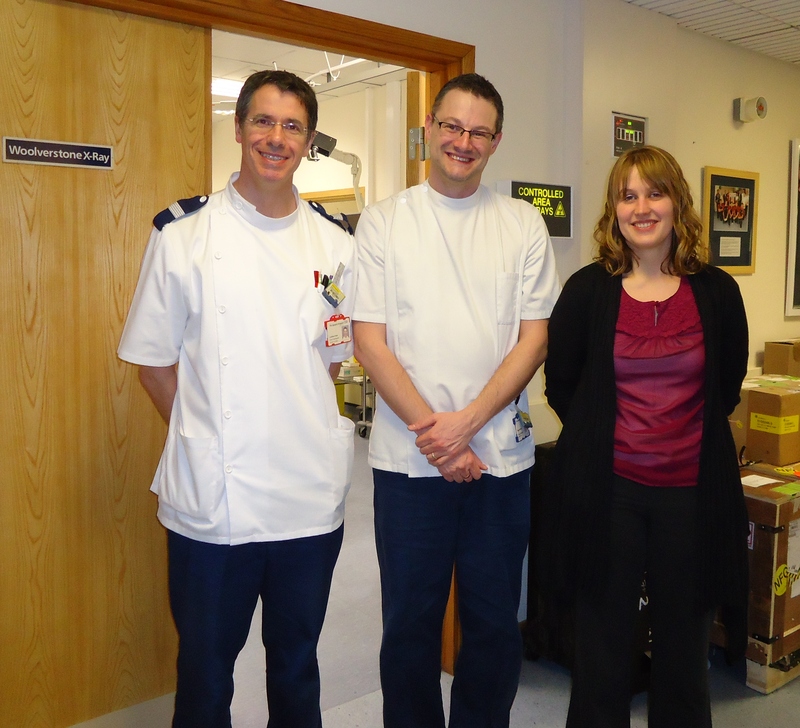 This has been a very helpful addition to the department and it means that the Doctors can refer you quickly to note any changes needed to treatment. 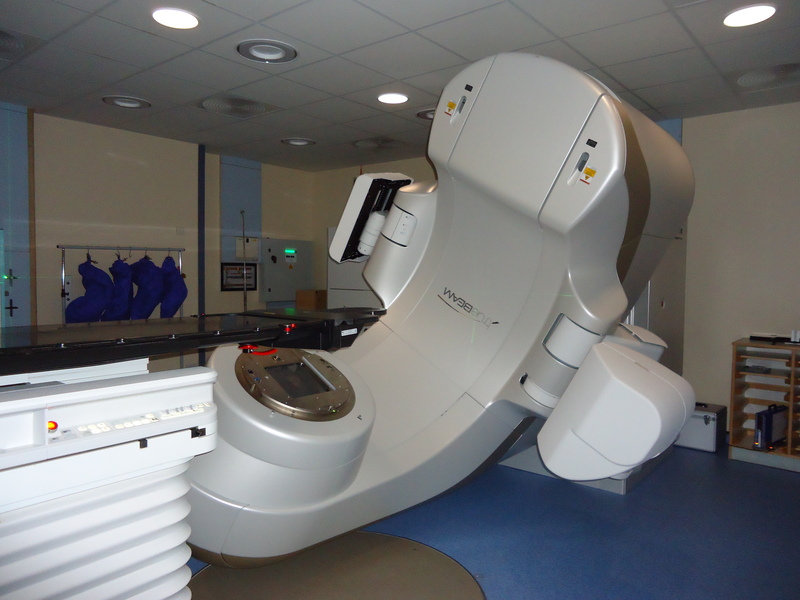 A picture below shows a mask which is used while undergoing radiation. This has been moulded to the patients head and shoulders and is fixed to the bed during treatment. 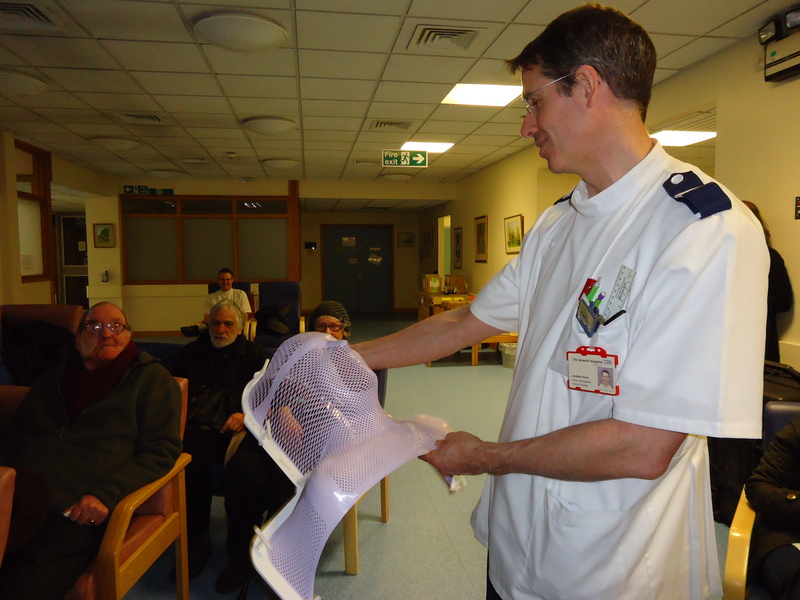 We then had a demonstration of the head & neck pathway showing elements of the planning and delivery using VERT. 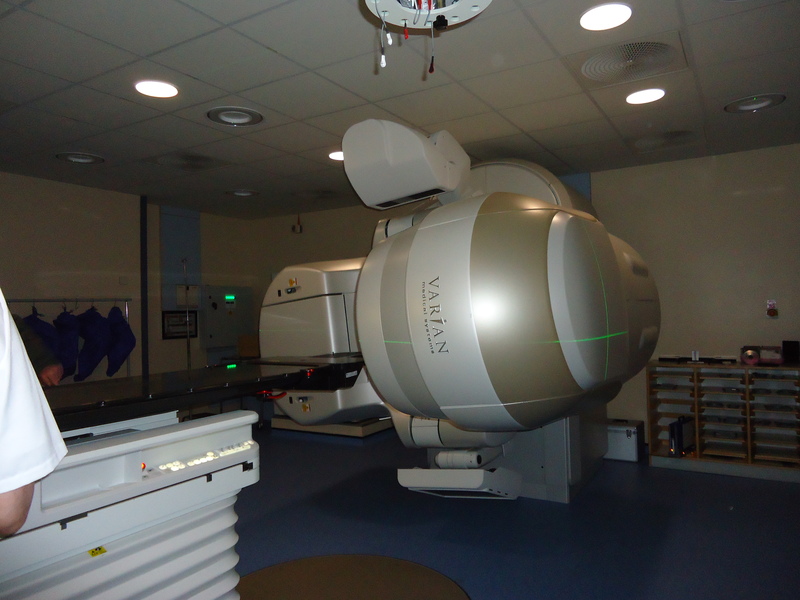 VERT stands for Virtual Environment Radiotherapy Training and they have developed the use of it as an information tool within the department. 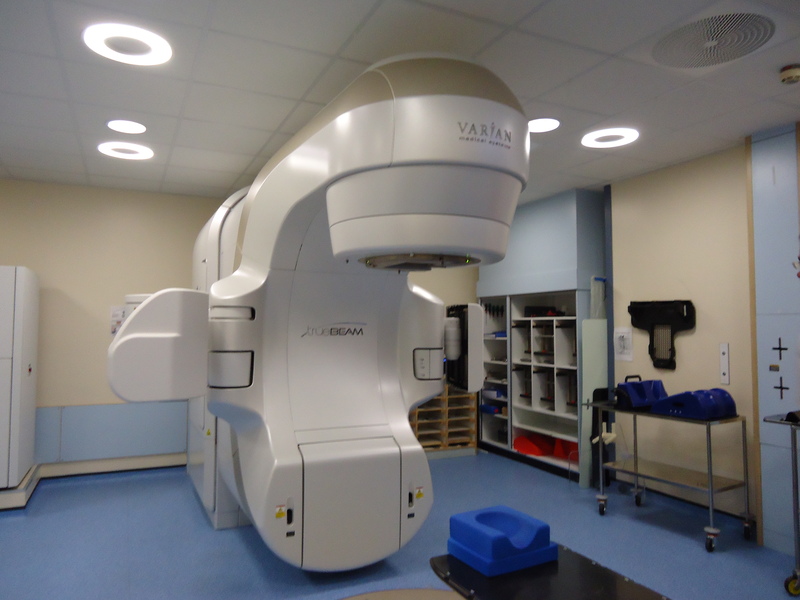 It provides them with a virtual representation of the linear accelerator and they can import CT datasets into it so they can demonstrate side effects and describe the patient pathway. We were amazed to see this and we all enjoyed the tour and demonstration and the commitment shown by the dedicated staff Jonathan, Dean and Louisa. Thank you.